The great goddess Kali, embodying the forces of destruction, is on a rampage, and she is drunk on the blood of her victims. 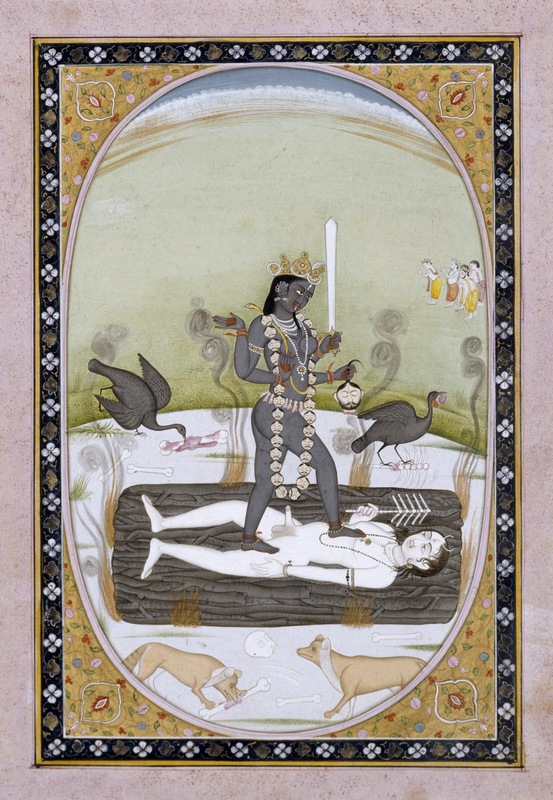 The supreme god Shiva assumes the position of a corpse atop a blazing funeral pyre. When Kali dances on his body, she recognizes her husband. Calmed, she grants him her powers.